1. Start applying for ski resort jobs in September and early October. There will still be job openings in late-October and November, but you probably won’t get your first choice. CoolWorks.com is a great resource for finding open ski resort positions. 2. If you want to be a ski or snowboard instructor, apply as early as possible. Instructors often have to go through try-outs first, so apply for a few resorts in the same state in order to go to more than one try-out. Even if you don’t get the instructor position, you can probably snag a different job. 3. Once you’ve applied to a few different resorts, start researching housing in those areas. Most resorts offer some sort of employee housing for a reasonable monthly cost. Oftentimes, utilities are included. If you have friends that are going to the resort too, it might be more cost efficient to rent a house together. Keep in mind that you’ll probably have to pay utilities there. Basically, just figure out the cost of living at each resort. 4. Take a look at the benefits offered at the resorts you’ve applied for. See if the resort offers free lift ticket vouchers for other resorts. If you’re a beginner skier or snowboarder, find out if resort employees are eligible for free lessons. Also, are you allowed a certain number of free or discounted lift tickets for friends and family? 5. Keep in mind that you probably won’t consistently work 40 hours a week every week. During the holidays, you’ll probably be working 50 or 60 hours a week (don’t expect to have Christmas Day or New Year’s Day off). During the slower months of January and February, you might only work 25 or 30 hours a week (this is a great time to get good at snowboarding). March picks up again when the spring breakers come around. 6. Now that you know how much you will be getting paid, how much housing will be, and what benefits are offered, it’s time to figure out which resort your first choice will be. First, consider the monetary value of each location. Will you make enough money to pay your bills and still have a little left over? Next think about the non-monetary value of the resort. Have you always wanted to live in Breckenridge? Then go there! Do you prefer living on the east coast? Stick to that area then. 8. Once you’ve gotten a job offer, commit to a place to live. If you don’t know anyone at the resort you’re going to, employee housing might be the way to go. It’s basically like the freshmen college dorms, but full of ski bums in their 20s. Most apartments and houses in resort towns come furnished, but double-check before you move. 9. Pack up your car or make plane or bus arrangements. Try to pack as light as possible. Housing in mountain towns tend to be small spaces with not a lot of room. 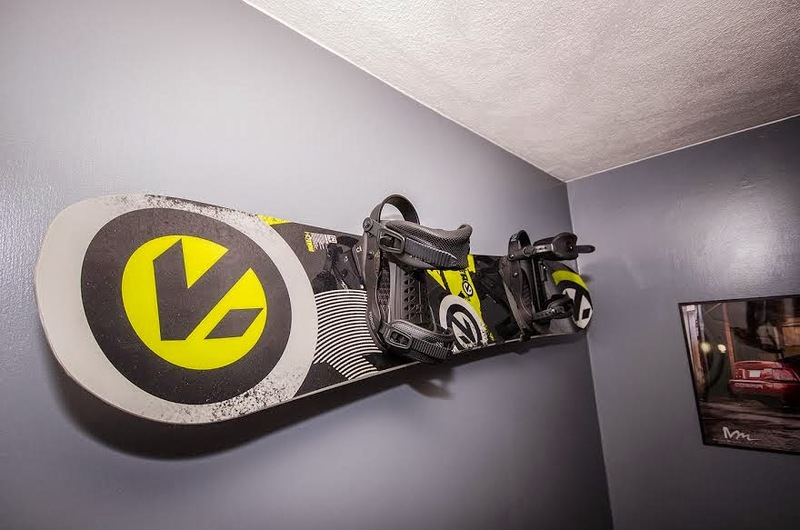 Save space in your new (probably tiny) place by using a Snowboard Storage Rack or a Ski Storage Rack, depending on your sport of choice. 10. Once you’ve made it to your resort, you are ready to have an awesome winter of shredding on the mountain!